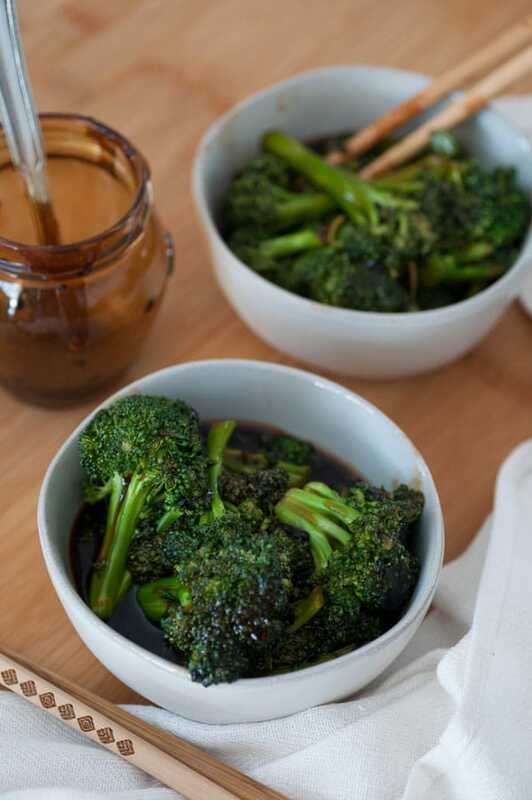 Broccoli smothered in our homemade teriyaki sauce is a family favorite, and it’s really healthy. Shhhhh…… You don’t have to tell your family and friends that it’s good for them, just let them bask in the flavors and the textures. This is the dish that will convert broccoli haters to broccoli lovers. Bonus, the sauce is free of refined sugar and all of the garbage you’ll find in most bottled sauces! If that headliner didn’t grab you, then nothing will, so move along. Just kidding! 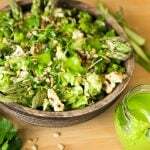 Don’t go, stay, because we believe that this broccoli recipe will change how you feel about one of the healthiest superfoods ever. Why do people hate broccoli, or Brussels sprouts, or cauliflower? Because they think those foods are stinky, mushy, and just plain gross. And truthfully, they are if they’re steamed until they’re limp, rubbery, and unseasoned, which is how they’re usually prepared. Heck, as much as I adore cruciferous vegetables, I’d push away a plate of broccoli if it was served to me as a big steaming pile of nothing special. However, this broccoli recipe is not mushy, not stinky, not limp, and not gross. It’s the complete opposite, and here’s why. 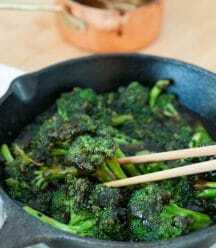 The key to making a crisp and tantalizing broccoli is flash frying it in a teensy, tiny bit of sesame oil. 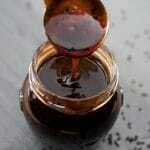 You can use olive oil if you must, but for this recipe, sesame oil is liquid gold. I use a big cast-iron skillet instead of a wok, because that’s how I do, but you can use a wok if you want. Just make sure that you use a heavier pan that heats evenly or your broccoli won’t cook evenly. 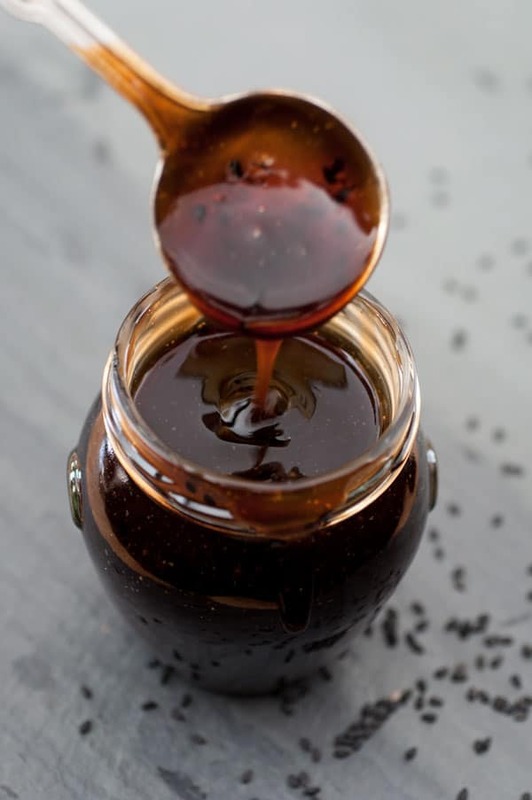 First – Make the homemade teriyaki sauce. Click here for the recipe. 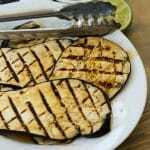 Second – Cut your broccoli into bite sized florets and heat a tablespoon of sesame oil in a large pan. Third – When the oil is hot (add a tiny piece of broccoli to the pan, it’s hot if it sizzles) add the broccoli and toss it in the oil. Continue to toss for approximately six to eight minutes, or until the stems are just fork tender. Remember, you want a firmer bite, not a mushy one. Fourth – Add the teriyaki sauce to the broccoli and toss to coat. 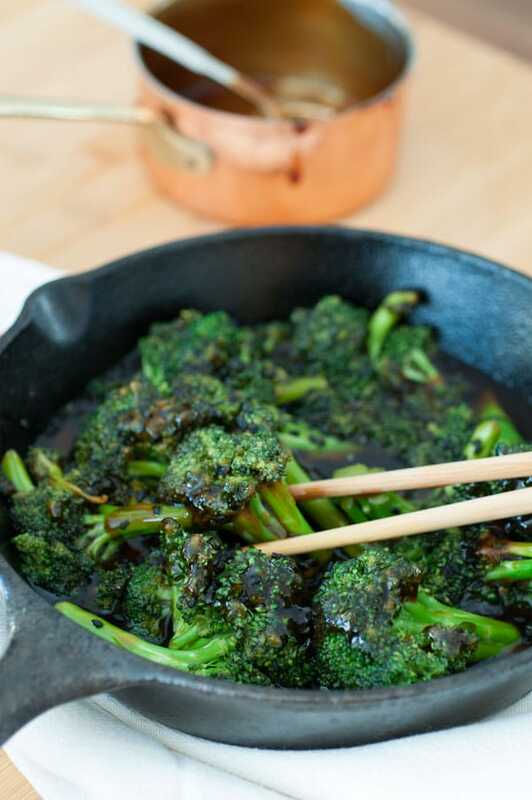 Now take a bite and savor the umami flavor of the sauce and the crunch of the broccoli. My mouth is watering just writing this. Make this and come back and let us know what you think. We love to hear from you. And don’t forget to take a picture and tag us on Instagram! Flash fried broccoli smothered in homemade vegan teriyaki sauce! It's healthy, delicious, and will convert your biggest broccoli hater. Pour the teriyaki sauce over the broccoli and toss to coat. 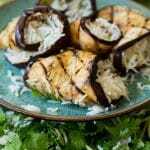 You can use olive oil if you don't have sesame oil, but the flavor will not be the same. Don't overcook the broccoli, it should be crisp, not mushy. 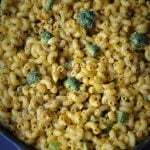 This seems to be a perfect recipe to get my husband to eat broccoli and actually enjoy it! It looks so delicious, thank you! This looks wonderful, love broccoli and can't wait to try this. Thanks! Thank you! I love broccoli too, and this is my favorite way to eat it. Oh jeeze, now you've got my mouth watering too! I love broccoli and I love teriyaki, so I'm all about this recipe! Such a perfect easy veggie side dish! So easy! Thank you, Rebecca! Thank you, Tania! Yes, it's so good on broccoli. So simple, and so good! 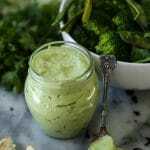 I am a broccoli lover for sure, and I don't see how those who don't like broccoli wouldn't like this recipe. Yum! Thanks, Kate! It's all about the sauce, right?